The Veterans Booth received over 400 letters to send to soldiers overseas. Thank you to all who participated. 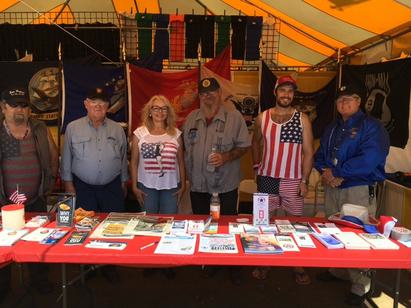 Join us in hosting the Veterans Booth during the County Fair. We need volunteers to help the public write letters to soldiers who are overseas. Any 2 hour shift will be appreciated. Contact Terry Graham, terrygraham415@gmail.com if you can help out.